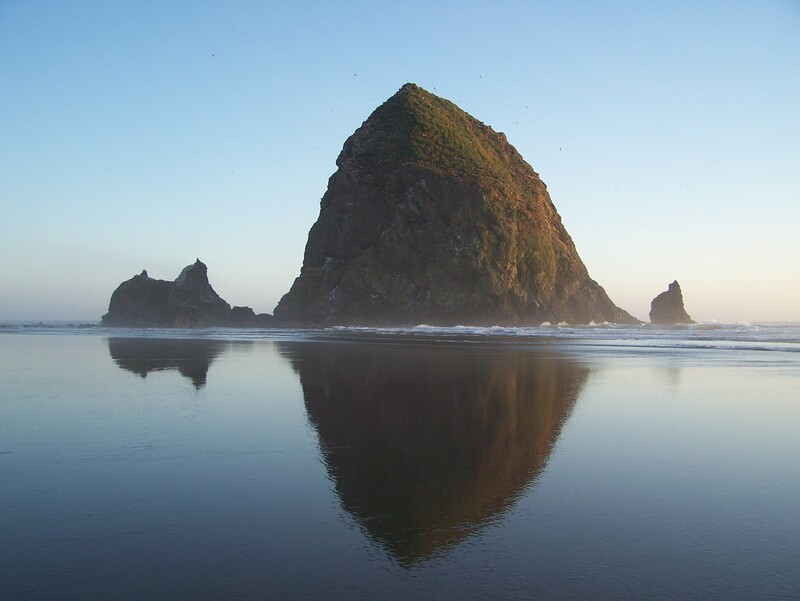 As soon as we drove down the driveway to the little cottage tucked into the hillside, overlooking Haystack Rock in Cannon Beach, I started counting down. I only have 11 days left. I was so sad about leaving that I forgot to be excited to stay. The only time we ever have is now. Spending our thoughts in the past, and what could have, should have, would have happened if only, robs us of the moment in which we stand, and creates a filter that distorts our view. Projecting ahead to what might happen, should happen, could happen, pulls the rug of now out from under our feet, and clouds our vision to the current sights for our sore eyes. Mourning the end of my summer days at the beach before they even started, kept me from celebrating the lazy, hazy days of summer that I had. What will we do with the time we have? It is given to us to spend wisely, thoughtfully, intentionally. Right now I have several friends who are sick, down with the crud. They’ve been given the gift of time to slow down and allow themselves to heal. Another friend is crafting a sabbatical in order to sit in the presence of her present moments, so as to create a more fulfilling future. The schedule for the mother of three who works two and a half days a week, extends to her two gifts of time. One allows her to use her own gifts and talents in her work. The other lets her unwrap the care package of spending time with her kids, creating memories for the future, that can only be created in the present. Currently I lack a steady paycheck, allowing me instead to be compensated with an abundance of time with which to create more meaningful work. Having less of my life ahead than lies behind, time is becoming more clear for the treasure that it is, prompting me to care more carefully for the hours and minutes freely given to me with each new day. There is no present like the time. So rather than counting down what we are losing, could we add up what we have right now. There is so much wisdom in this beautifully written piece ..that it literally takes my breath away. Time..elusive..and plentiful. There’s never enough when you are with someone you adore..and sometimes too much when you are waiting in the doctors office for that filling to be replaced. Time can heal wounds are open new ones. It has always been a mystery to me..time. I have watched it steal away the lives of my parents..but breath new life into my babies. Time. It is neither enemy nor friend as time has no judgement or objective.Time is endless. Only man feels the need to count it..to dissect it…to categorize and calendar it…to mark it…and celebrate it. The beauty of this piece is that we might all learn the idea of accepting every single minute..nanosecond…every breath as a gift. Live in that moment…and if we do that…then there will cease to be this thing we call “worry”. Worry is based on a future event…something that at the moment does not exist…vapors. WIthout worry..there is no stress. Without stress..there can only be joy, peace, and an appreciation for what is…without wondering or mourning over what will be or what is not. I love my little “Matters that Matter” emails. I appreciate the reminders of what in life really counts…and those things in life that we can most happily live without!! Thank you so much for sharing this story!! Dear, dear Melody… Thank you for adding your lovely and grace-filled wisdom to what was written. It is so good for us to remind one another of why we are here, and how we might be here more fully. Blessings on each and every moment of your now… and now… and now. Molly, such a great reminder to us all…cherish every current moment as a gift. It’s so easy to get “stuck” in the past and projecting toward the future. Thanks friend! Love living in the ‘now’ with you! Fussing comes naturally to so many of us doesn’t it?! Thanks for your presence here Pricilla. perfect…love imagining you, a little girl all a twitter about all things horsey!!!! This is so beautifully written and really speaks to me today. Thank you for writing it.